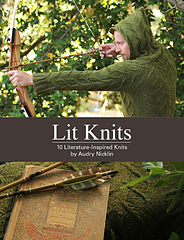 Enter to win this copy of Lit Knits; 10 Literature Inspired Knits by Audry Nicklin by leaving a comment under this post by January 15th. Please remember to include your contact information. Only one comment per person please! The winner will be announced on Episode 78.